Warriors season ticket holder Robin Schreiber is known for her funky and energetic dance moves on the Warriors’ big screen during home games. The trend first caught on during a game against the Dallas Mavericks last November when Schreiber made her first appearance on screen in an ugly Christmas sweater. 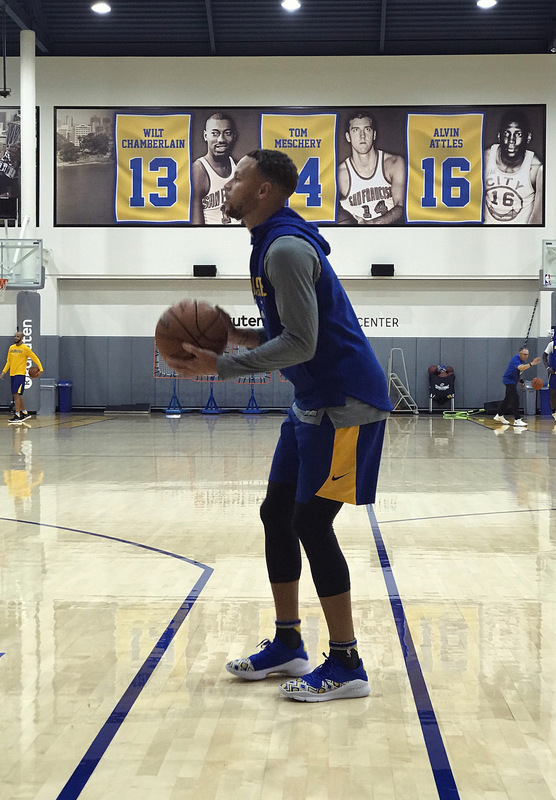 Her dance moves have caught the attention of the national media and even the Dubs as she performed a routine on the court with the Warriors’ dance team. 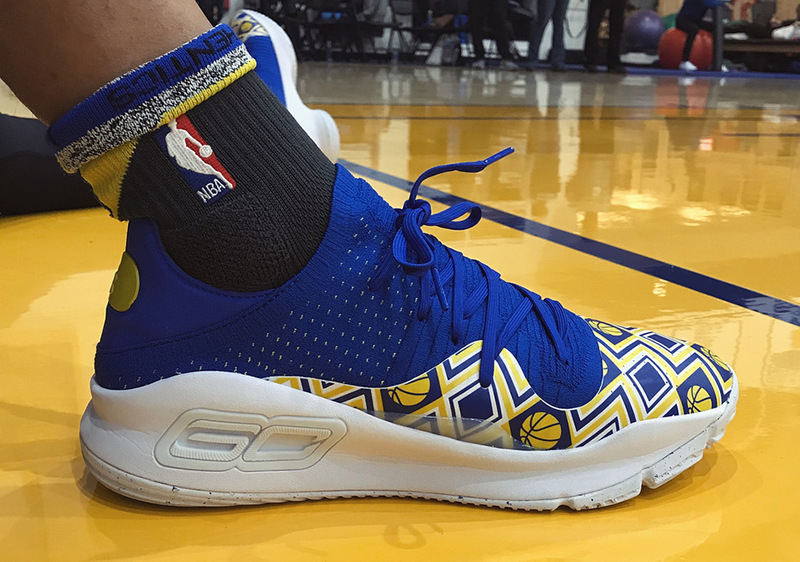 Now the “Dance Cam Mom” has caught the attention of Steph Curry as her ugly sweater pattern has made its way onto a new colorway of the Under Armour Curry 4 Low. The shoe features a primarily blue upper with the pattern emblazoned on the toe box and side panelling in the Warriors’ golden yellow. 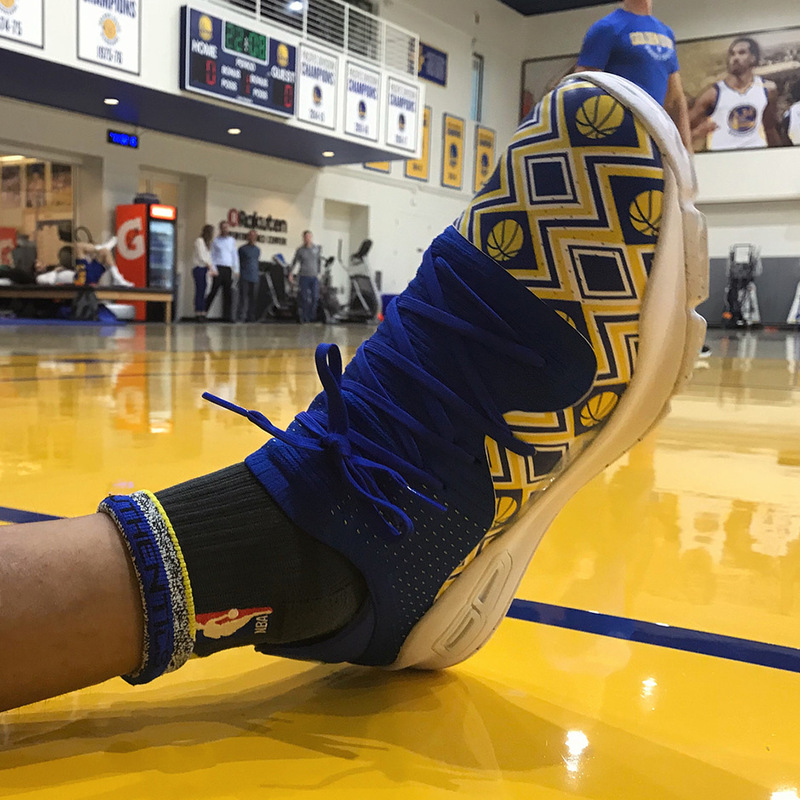 No information has been made available regarding a release, but pay attention to see of Steph laces this tribute to “Dance Cam Mom” up during a game.